Dubai, UAE, April 08, 2019: The Holy Month of Ramadan is almost a month away and we are all already embracing the spirit of joy and generosity. With countless Iftar and Suhoor invites that we receive from our family and friends, we just can't go empty-handed. This year, what makes a better gift than a unique bottle of perfume for your loved ones to fall in love with and profusely thank you for for the rest of the year. 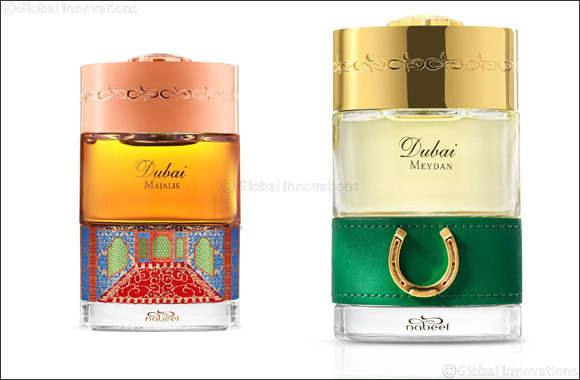 From classic oud to reviving rose scents, below is your ultimate fragrance gift guide for Ramadan 2019 from niche luxury perfume houses Parfums De Marly, Initio Parfums Prive, Mizensir Perfumes, and The Spirit of Dubai Perfumes. Inspired by the traditional Emirati culture, the mingling fragrances of heady Oud, Qahwa (Arabic coffee) and dates mixed with royal pure Turkish rose, rose Taif, cardamom, saffron, musk, and amber bring to life the rich scent of Dubai Majalis from the Spirit of Dubai's First Generation niche collection creating everlasting memories with those we hold dear and as such in this Holy month. Indulge into an olfactory fairy tale and experience an explosive mix of floral tones - a blend of paradisone and tiare flower to give a powdery, almost tactile feeling with the inclusion of rare musk and concrete iris. Spread calmness all over with the underlying notes of sandalwood and vanilla.